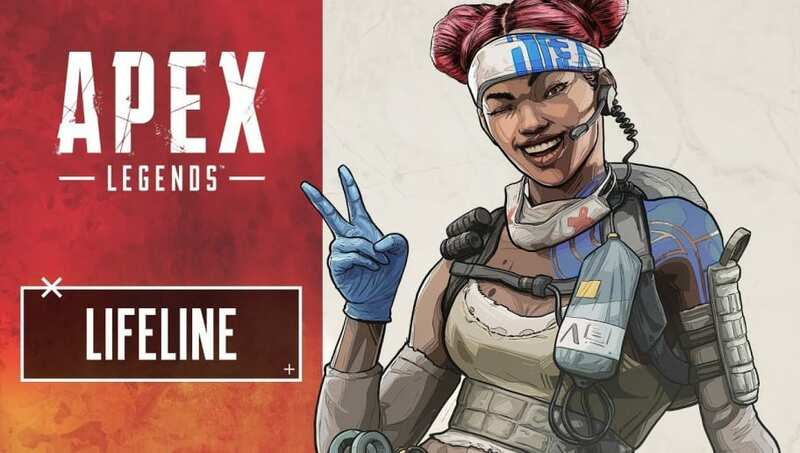 Apex Legends Lifeline is an incredible useful legend to have on just about any squad. Here ability to support her teammates is nearly unprecedented even as she's given free rein to take shots. Here are some tips on how to play Lifeline. Lifeline is Apex Legends' most straightforward healer. Her active ability, D.O.C. Heal Drone, calls in a robot to heal her and any teammates who stand close enough to the drone. This can be vital in runs where your squad fails to find enough healing items, and also comes in handy during drawn out skirmishes from afar. All things being equal, a team with Lifeline will outlast any other team without. Lifeline's passive ability lets her revive allies who have been knocked down more quickly and from behind a protective barrier. It also lets her​ use healing items more quickly than the rest of the cast. All of the above are useful in late-game fights. If one teammate goes down, Lifeline can revive them while her living teammate keeps up suppressing fire. This makes it much harder to safely push a team with Lifeline. Finally, Lifeline's ultimate calls in top shelf equipment for her team. Players will want to use this ability as often as possible to loot up in the early game. It can also bait enemies into compromised positions. Generally, Lifeline should try to stay near her teammates in case she needs to offer a heal or a revive. She tends to perform better in teams that are comfortable holding down a single area rather than running headlong into a fight. Still, Lifeline players shouldn't avoid combat. After all, that's what the healing is for. Lifeline can play aggressive and recover more easily than other legends, making her useful in trigger happy squads as well. The name of the game is knowing when to hunker down and when to push.